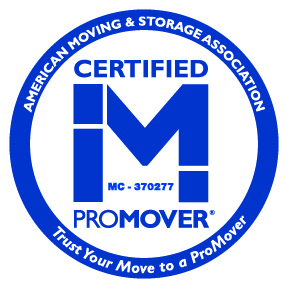 Need a Moving Company or Movers in Manalapan, Palm Beach County? Need a Moving Company Manalapan or Movers in Manalapan, Palm Beach County? A serene, sophisticated, enclave, Manalapan offers uncompromised residential services and very strict development controls. Manalapan is home to the luxurious Ritz Carlton – which sets the tone for this "lifestyles of the rich and famous," sea side sanctuary. Manalapan generously shows off the breathtaking beauty of ocean, lush tropical greenery and unparalleled luxury of ocean front and intra-coastal homes. Contiguous only by water, Manalapan is comprised of the most well known portion running along A1A and a more secluded area occupying the southern most third the Hypoluxo Island. Manalapan is within convenient driving distance to the metropolitan areas of Palm Beach, the Palm Beach International Airport, world class shopping, golf and tennis clubs. There are few locations, world wide, that can offer such a majestic, superbly secluded and affluent lifestyle. Moving Company Manalapan, Manalapan's most selective residents have placed their confidence in Superior Moving Company for over two decades. Few Manalapan moving companies offer our wide variety of relocation, local and long distance moving and storage services. Locally owned and operated – fully licensed and insured – Superior Moving and Storage has earned an outstanding reputation for integrity, reliability, quality and value. A trusted leader amid Manalapan moving companies - Superior painstakingly trains every mover and packer to provide the "white glove" treatment on every move. Offering expert advice with thoughtful packing and handling – Superior strives to exceed Manalapan's moving company expectations. Like other moving companies, we provide storage – but with a superior touch. Whether you need air conditioned storage, movers for a local trip or plan a full service cross country relocation – trust Superior Moving Company's movers for stress free transitions. Move forward with confidence, Manalapan – knowing your furnishings are carefully packed by expert movers. Using sturdy, item specific boxes and superior quality movers' pads - thoroughly qualified movers use the utmost care handling every item. Our dedication to moving safety is far above other moving companies. Local and long distance relocation experts, our courteous and knowledgeable Manalapan staff fully supervises all aspects of your relocation – your valuables will remain in the capable hands of thoroughly trained and experienced movers and moving company personnel. At Superior Moving and Storage, estimators are expertly trained to take the stress out of long distance and other moves - providing time and money saving pre-move pointers. Superior to other moving companies, our goal is that you receive the highest value for your moving company dollar. A leading Manalapan moving company – we take great pride in our modern fleet of local and long distance trucks. Knowing your most valuable possessions will be transported in reliable, meticulously maintained vehicles is just another way Superior remains a cut above other moving companies and movers. Quality, dependable drivers are extremely important when considering moving companies. Superior is a moving company leader - mandating a rigorous driver training program. Our moving company's exceptional driver training program is specially designed to attract the finest, properly licensed drivers and movers – ensuring safe, secure transport by long distance and local movers or to our sparkling air conditioned storage facility. Manalapan's premier moving company, our immaculate, 100% air conditioned, 24-hour video surveillance/secured storage facilities safeguard your valuables in every way – including from Florida's intense heat and humidity. Unlike other moving companies, Superior Moving and Storage invites Manalapan to tour our moving company's state of the art storage facilities. Compare relocation, long distance and local moving companies – then stop by to see the Superior Moving and Storage difference for yourself. With so many relocation, local and long distance moving companies to choose from – why not let Superior Moving and Storage pleasantly surprise you with remarkably reasonable rates, too? Ask our experts' advice on relocation, storage and movers. You'll delight in our – superior to other moving companies - spotless, modern facilities and equipment along with competitively priced long distance packing supplies. Superior Moving's staff is ready to serve your local, long distance, relocation, moving and storage needs. Planning relocation on your own? Unlike other moving companies, Superior employs professional moving company staff, ready with valuable tips for our customers. Ask our movers and team about the most secure way to pack your furnishings. Everyone at Superior moving company is qualified to recommend the best methods and movers' supplies just for you. Moving your self? Dreading countless hours packing your priceless belongings? Try our professional packing services. Superior's courteous and expertly trained moving company staff will set you free in no time. We'll organize, package and label your local or long distance moves and relocations. Superior Moving and Storage offers Manalapan residents the same exceptional services for relocations across the street, across the country and everywhere in between.